Since the emergence of the Web 2.0, new assemblages of video platforms, social networking services, mobile computers, digital cameras, editing software and live streaming apps allow easy production and wide circulation of online videos — one of the fastest growing parts of the Internet. This new availability of video and its epistemic, affective, and symbolic forces has also changed practices of political protest, activism, and social movements. Studies indicate that political and humanitarian engagement beyond institutional and party politics is not just the concern of a dedicated few: at least in Western democracies, a majority of people seem to contribute to social movements in some way at some point in their lives (Catherine Corrigall-Brown). Today, videos play an ever more important part in this. Citizen evidence videos documenting police violence, campaign films like Kony2012, whistle-blower videos like WikiLeaks’ Collateral Murder, or web documentaries like Under the Dome about pollution in China have reached millions of viewers, and they are just some spectacular examples of the new online video activism that has been forming all around the globe. Its political and democratic potential – of making the unseen visible, giving a voice, providing evidence, exchanging views, creating awareness, and calling to political action – seems to be immense. However, the plethora of hate, propaganda, and terror videos shows that these new possibilities can also be used destructively. 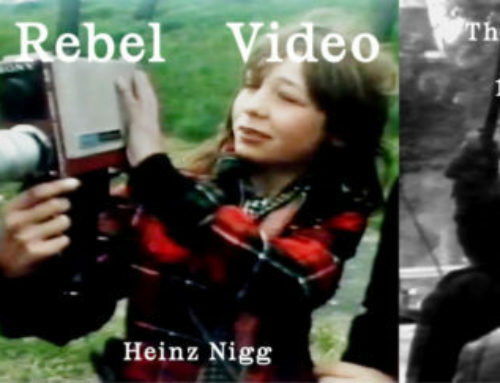 Political conflicts spark aggressive video battles, and many films are criticized for their manipulative framing, their distortion of facts or their contribution to governmental and corporate surveillance. Even worse, civil society as a whole seems to be under threat by a growing number of attacks on individual protesters, NGOs, and the freedom of expression and assembly. Organizations like Witness or the Tactical Technology Collective react by offering tutorials, verification portals, and anonymization tools to protect protesters and informants. 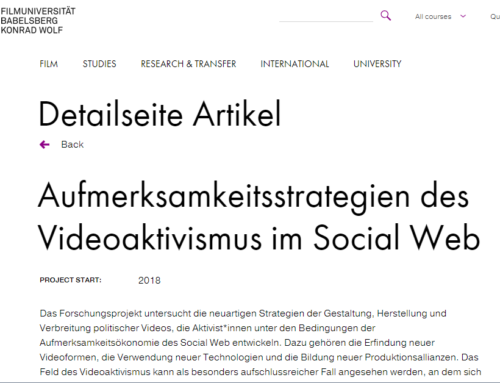 Videos: What are their types and topics, genres and aesthetics, transmedial and intertextual relations, rhetorical strategies and potentials for stimulating affects, reasoning, and action? What political or humanitarian topics do they address? What functions do they perform (evidence, education, awareness, attack, mobilisation, empowerment etc. ), and how is their unique audiovisual potential used? What creative strategies are implemented to mobilize different audiences and to compete with other activists as well as mainstream media? What novel aesthetics, narratives and rhetorical modes have emerged so far? How is authenticity feigned, and how is verification possible? Media environments: What media environments are the videos embedded in, and how are they interlinked with other textual and interactional elements of websites? How do they depend on content delivery networks (CDNs) or activities of social bots? How are they connected with and integrated into mainstream mass media in today’s “hybrid media systems” (Andrew Chadwick)? How do the features of commercial and non-commercial social media and Internet services influence production, distribution, reception and participation? What are the risks of social media (e.g. in terms of anonymity, surveillance, censorship, data loss, unpaid work)? Producers and distributors: Who produces and distributes activist videos – which individuals, groups and organizations? What are their political contexts and objectives? Which new strategies of production (e.g. crowdsourcing) and distribution (tagging, seeding etc.) are used? What local characteristics does video activism in different countries have? How do different types of activists (e.g. NGOs and ‚radical‘ activists) work with or against each other? What stances do they take towards specific strategies, e.g. of marketing, entertainment, storytelling, cooperation with commercial partners and agencies? Are differences in political ideology also reflected in different aesthetic approaches? 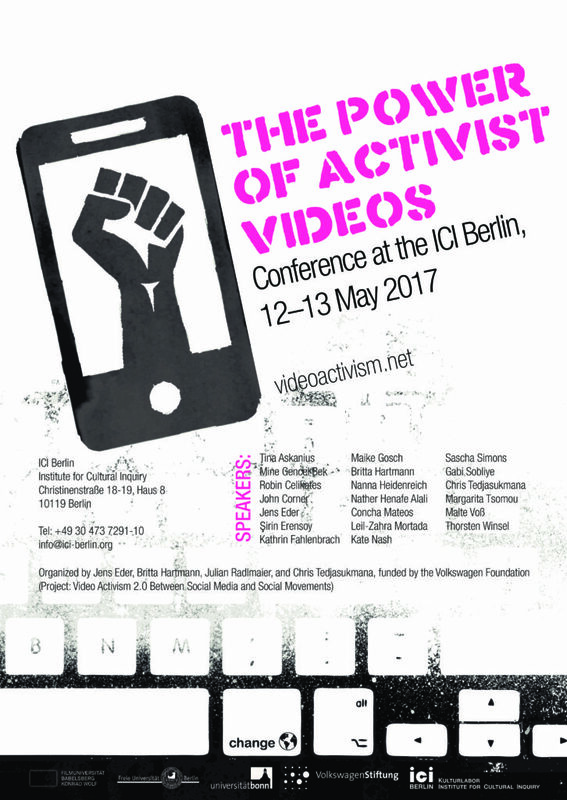 Users, publics and impact: Who watches and uses activist videos? What kinds of ‘impact’ do they have, and how do they contribute to mental, social, political, legal or economic change? How does the new video activism change political publics and practices? Are we dealing with a new way of political participation, a user-friendly update of political counterpublics? Are we audiovisually debating in a virtual agora or mauling each other in anonymous online arenas? Does the ‘power of images’ promote elucidation or prevent complex issues from being properly resolved? Does the popular appeal of certain videos contribute to a consumable conformism or to manipulation of some sort? 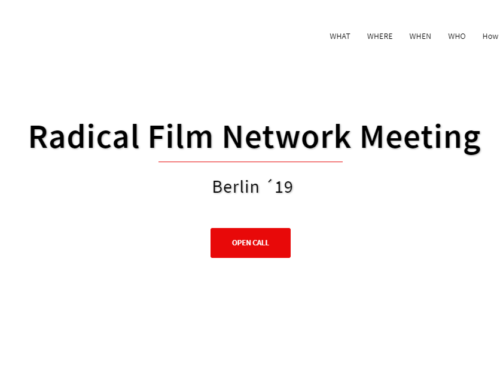 How do activists deal with the risk of diverting users’ engagement from offline activities to mere clicktivism, as well as with surveillance threatening to endanger the represented causes and persons? The conference participants are invited to discuss these and further questions in a series of presentations, leading up to a roundtable debate. 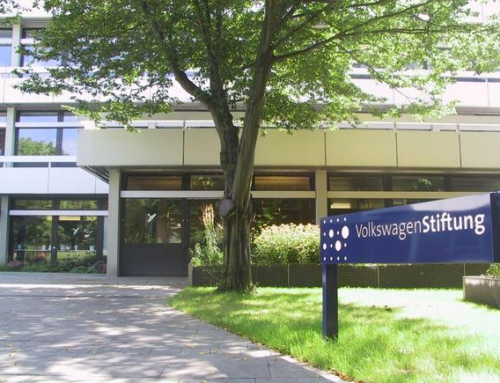 The conference will take place at the ICI Berlin Institute for Cultural Inquiry (located at Christinenstr. 18/19, Berlin-Prenzlauer Berg). It will start on Friday morning (12 May) and end on Saturday afternoon (13 May).